On Coco’s red carpet the truth is revealed! Coco will tell you all of her thoughts on the Oscar 2015 Red Carpet and not just her good thoughts, the good, the bad and the ugly will come out! Jennifer Lopez in a beautiful Elie Saab gown with her normal very deep V neckline, which I’m getting so old of. She really needs to change things up, we all know she’s beautiful but I want something different for once! 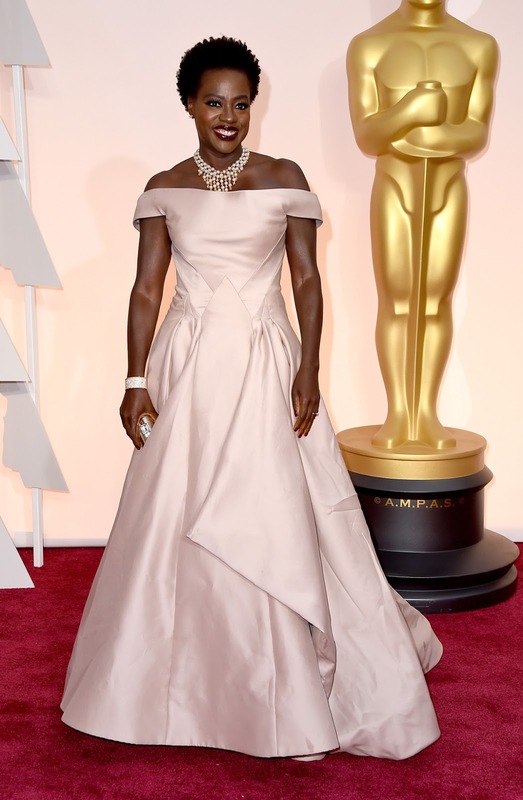 Viola Davis looking amazing in Zac Posen, that pale beige on her skin tone is absolute perfection. Lady Gaga AKA Lady Gloves in Alaïa. 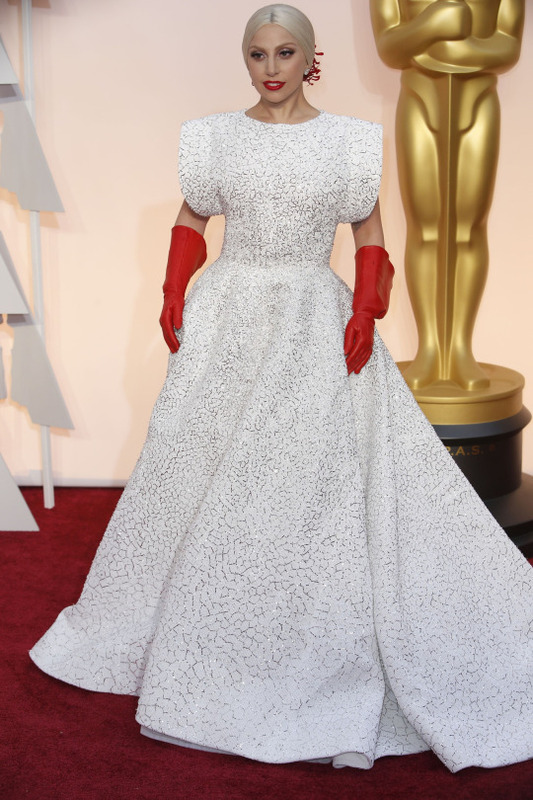 I actually adore the dress but cannot stand the gloves, is she a cleaning lady part time? Benedict Cumberbatch and Sophie Hunter, enough said. Chris Pratt and Anna Faris happen to be my OTP, I adore them together and not to mention they are one of the hottest couples on the carpet. Emma Stone looking like an actual Oscar in her Elie Saab gown, I’m going to be honest here not everyone can pull off that color but she can. Her skin tone, hair and makeup all are perfect and really make the dress look amazing. Jennifer Aniston looking amazing as usual in her Versace gown. Literally every time I see her on a red carpet she’s wearing the same style but I’m not tired of it shockingly. Oh Jared Leto you are an extremely attractive man but I prefer the man bun. Your hair makes my hair look like crap so I prefer when you hide it, it makes me feel better about myself. Worst: Gwyneth Paltrow in Ralph and Russo. I don’t actually hate the dress I just hate the styling of it. Worst: Keira Knightly in a floral Valentino dress, we all know pregnant can look beautiful but I just hate this dress, it doesn’t show off her bump or anything! Worst: Scarlett Johansson shows off her new hair (which I hate) in her Versace gown, I don't like ANYTHING about this even though I wish I did. Best: Anna Kendrick in Thakoon is my favorite of the night. She’s just perfect. Best: Lupita Nyong’o not only dripping in a pearl Calvin Klein gown, SHE CARRIED HER OWN UMBRELLA ON THE RED CARPET!